Prohibition: A dark day for democracy … and date night! A time in American history when the decedents of people who came to America because they did not like being told how to live their lives spent many years telling others how to live theirs. Or, as most Americans like to call it … dumb. The same ambitious religious fervency that helped end slavery (good job BTW) got even more ambitious and turned its attention to the temperance movement. The solution they came up with to stop some folks from getting stupid drunk, was to stop EVERYONE from being able to enjoy the work and traditions of thousands of years of civilization. In 1917, President Woodrow Wilson put in place a temporary prohibition to save grain for food production to help the war effort. The anti-saloon advocates smelled blood in the water and that very same year Congress submitted the 18th Amendment to ban making, shipping and selling booze to the states for approval. On January 29, 1919, the 18th Amendment was ratified and a year later it went into effect. It did not go well … at all … Bootleggers. Gangsters. Murder. Bad homemade wine! Bad things. All bad things! Many of the temperance politicians said what was politically correct … and did exactly the opposite. Warren G Harding—who happened to be President during Prohibition—continued to enjoy drink … or two … or three … or more. Harding was particularly notorious for his support of the 18th Amendment as a senator and his total disregard for the law as president. Sure … but that’s politics. When it comes to religion, I’ll leave that up to you dear readers, but it is widely accepted that Jesus turned water into wine at a party … soooo … there’s that. Let’s move on before this gets awkward. We are resilient and persistent people. Today there are commercial wineries in all 50 states. Thanks to hard work, passion, and technology you can find a good glass of wine just about anywhere … from New York to Colorado, Virginia to Oregon, North Carolina to Missouri … you know … sea to shining sea! it’s an amazing time for wine lovers in America. That’s something we shouldn’t take for granted. 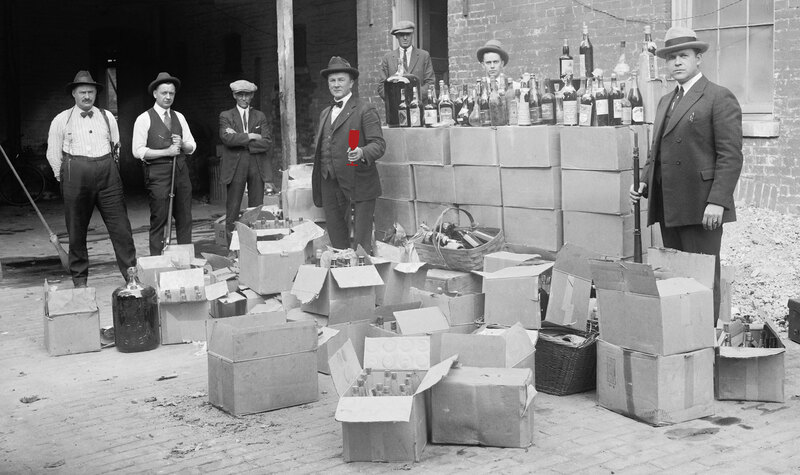 The wine industry in America was devastated by the time Prohibition finally ended. When the 18th Amendment was ratified on January 29, 1919—100 years ago today!—there were nearly 2,500 wineries in America. 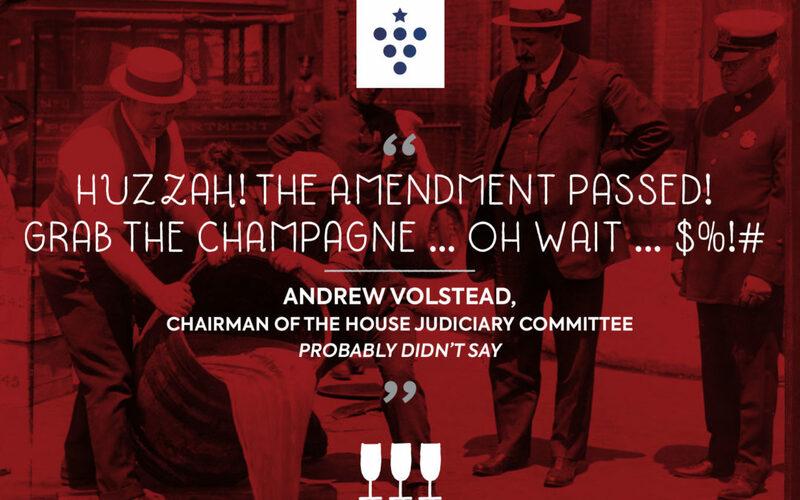 By the time it was repealed in 1933 with the 21st Amendment, there were less than 100! We’re not just talking about California either. Making wine in American goes way back. The minute Europeans set foot on this continent, they began trying to ferment grape juice. The long voyage across the Atlantic must work up quite a thirst. Plus, being confined in close proximity with the same people for 6+ weeks is more than enough to make anyone want a drink! If at first, you don’t succeed. There were many early attempts to get the wine industry off the ground, but it was definitely a rocky start. The native grapes didn’t really make great wine, and the vines brought over from Europe often died for mysterious reasons—but that’s another story. Despite his unsuccessful efforts at Monticello to recreate the wines he loved from Europe, Thomas Jefferson believed the future of making fine American Wine was a safe bet. In 1830, Nicholas Longworth created America’s first commercially successful winery in Ohio and proved that TJ was right. Nick becomes “the father of American wine” and a rock-star with his famous and very popular bubbly wine made from America’s own Catawba grape. In the 1600s, Franciscan missionaries planted the Mission grape all over the place … Peru, Mexico, Arizona, New Mexico, Texas, and this little place I like to call California … a.k.a. home away from home. 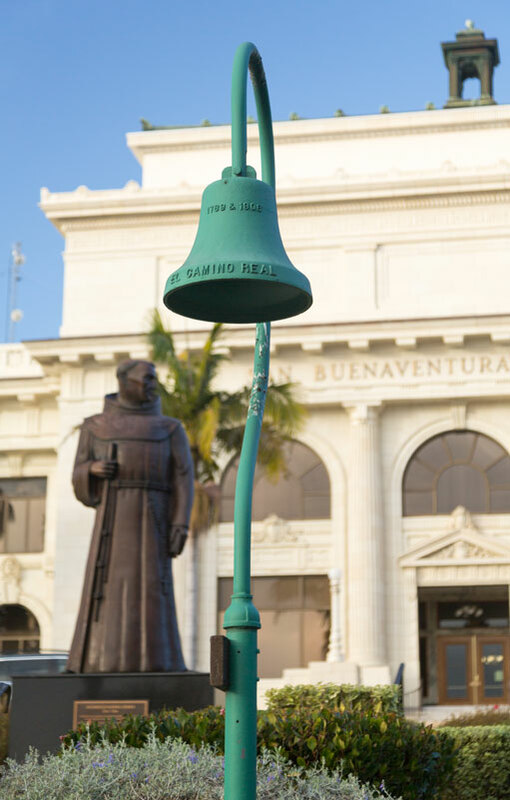 Every time my wife and I get back to her home state, I can’t look at those bells marking the journey of missionary Junipero Serra along the Pacific Coast Highway without feeling immense gratitude towards the transformational work he did … specifically creating California’s first vineyard and winery near San Diego. You, sir, are a blessing to us all! Damn it! Now I’m craving In-N-Out! 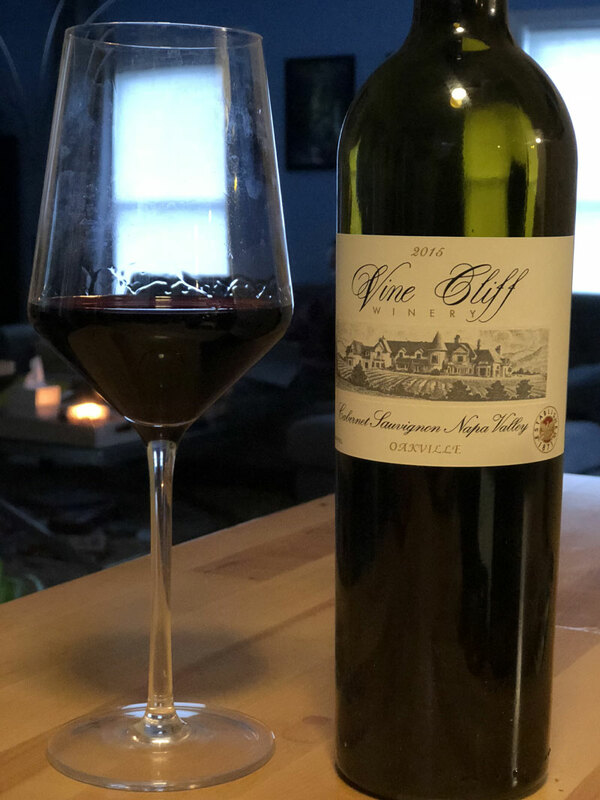 It easy to think that America didn’t start producing any world-class wine until recently, but as Nicholas Longworth’s story proves, that’s just not the case. In Tom Acitelli’s book American Wine: A coming of Age Story, European immigrants were using the wine-making knowledge they brought to America to make some killer wines… award-winning even. To survive the 18th Amendment, some wineries start selling grape juice directly to families who then use it to make their own wine. Others like Beaulieu, survived by making deals with the Catholic church to create the wines needed for Sunday service. God bless the Catholic church … first, they brought seeds and planted vineyards and then the found a loophole to save a tiny piece of pre-prohibition America. In the 1960s, the pieces of today’s American wine success really start to fall into place. 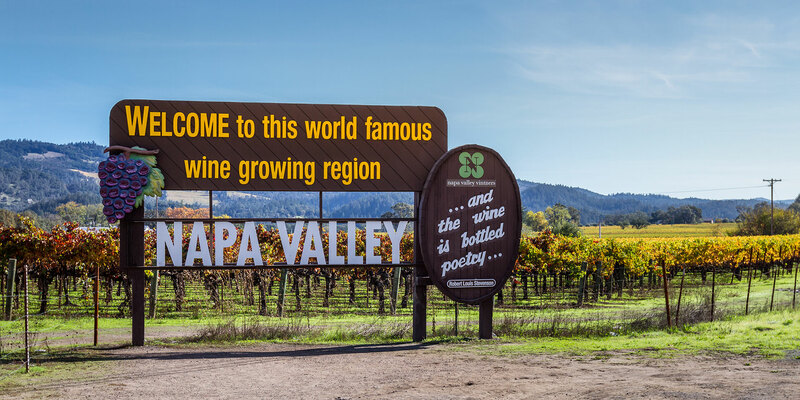 Robert Mondavi—who many would call “the father of American fine wine”—and other California winemakers challenge themselves to make world-class wine in America again. Meanwhile, back on the east coast, Ukrainian immigrant Dr. Kanstatin Frank gets things headed the right direction in New York’s Finger Lakes region. On May 24, 1976—A little over a decade later—the world would get a taste of what makes American great … resilience, determination, and passion all wrapped up in a bottle. On that day, an Englishman named Steven Spurrier held a little blind tasting that we now call The Judgement of Paris—more on that next month!. Those crazy California dreamers at Chateau Montelena, Chalone, Ridge, Stag’s Leap and others shocked the world and declared their independence from the world’s perception of American fine wine. Seems very fitting that these wines would rock the world in 1976—the year of America’s bicentennial celebration. The event turned the wine world on its head and nothing has been the same since. The bad news … those unknown California wines skyrocketed in price. The good news … a rising tide lifts all ships. Today, there are so many good wines being made at every price point in the U.S. and all over the world. The challenge we consumers face isn’t finding quality, it deciding which one to try next! It’s ironic that the US Supreme Court heard a case last week—exactly 100 years later—to decide the fate of alcohol licensing in the state of Tennessee. The repeal of Prohibition left us with a three-tier system … Producer -> Distributer -> Retailer. This lets each State create their own systems to “protect” the citizens from themselves when it comes to alcoholic beverages. What that means for us is more fees and less consumer choice. This story is already too long, but you can learn more from better-qualified people at winefreedom.org and/or be as geeky as me and listen to the recording of the January 16th arguments on the U.S. Supreme Court’s website. 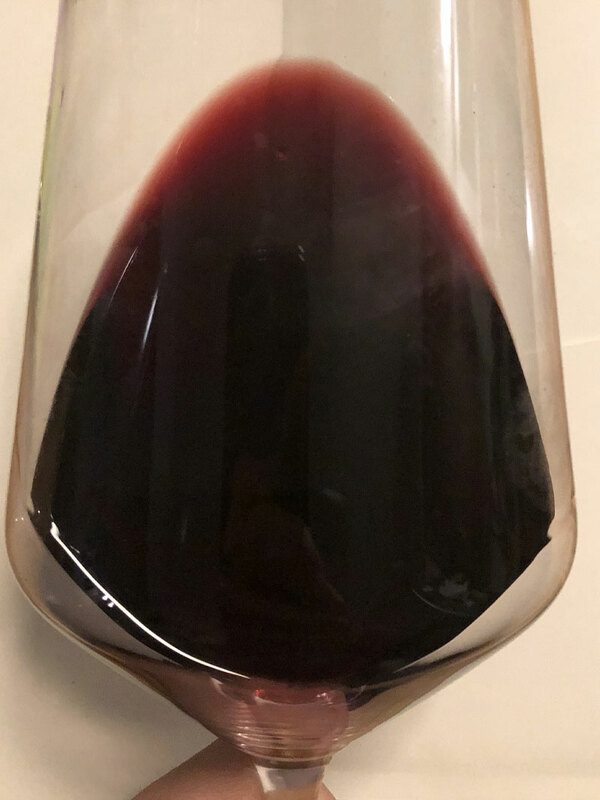 In recent years, the court basically decided that the Interstate Commerce clause says that States can’t discriminate against online retailers and thankfully that means that we are finally able to have wine shipped directly to our homes … mostly. It’s not perfect, but it is a start. 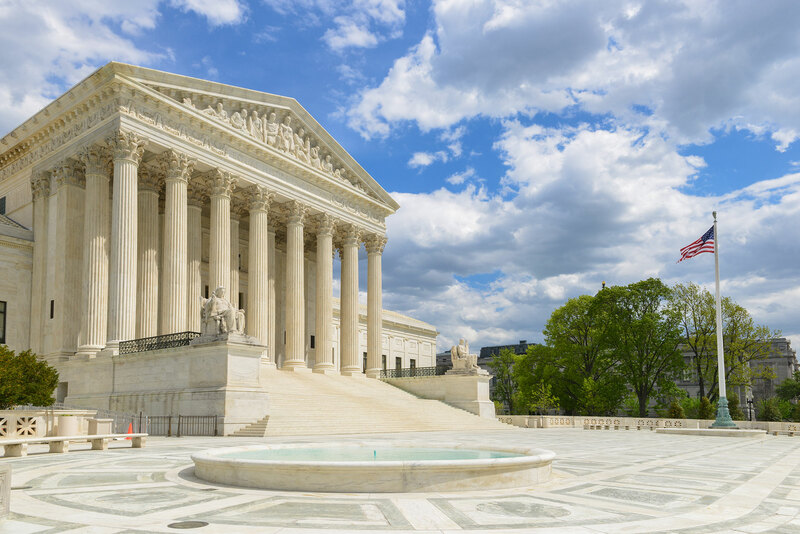 Depending on how narrowly or broadly the Supreme Court decides to interpret this current case, the retailer to consumer options may greatly increase again. Here’s h0w my state’s three-tier system impact me. I can’t buy alcohol before 1:00 pm on Sundays. – Hello! NFL kickoff is at 1:00 pm on the east coast! My state’s liquor laws force local distillers to sell to the state and then buy it back from them at a higher price before the can sell it to me. Because of the many regulations–some good, some really bad–the added taxes and fees the system creates means that I can actually purchase wines from online retailers at a lower cost than the local wine shop can? How crazy is that? How can they compete if the cost they pay the distributor is more than I am paying for a retail product? The exact same product! I met a winemaker from a smaller CA winery at a dinner in St Michaels Maryland last year. I really wanted to purchase wine from them when I got home but couldn’t because they don’t have a license to sell in WV yet. For small producers, it’s one state at a time. One time I missed all 3 FedEx delivery attempts–I’m busy–so I offered to make the the 30-minute drive to Virginia to pick up my 2 cases of wine. When I got there, I was not allowed to take my wine home with me because I would be crossing the state line. The FedEx driver had to drop it off my local Walgreens the next day for me to get my wine, CRAZY! There are 50 states and we’re stuck with at least 50 different sets of rules… Good times! 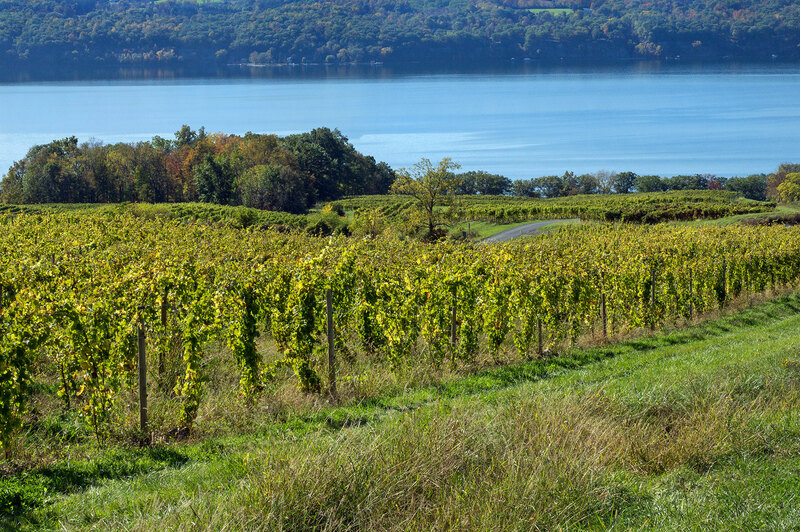 Thriving Vineyards along beautiful Seneca Lake in New York’s Finger Lakes AVA are making some very tasty wines. Just because we’re still not 100% recovered from the mistakes of our country’s past, things are kinda awesome now. We are living in a great time for quality wine and beer making in the U.S. There are quality wines being made just about everywhere. More importantly, we are slowly, but surely starting to get access to these new tastes and experiences. We’ve been presented with an amazing diversity of opportunities and I would argue that the quality of wine is better today than it has ever been in our history. I’m Sensing a Road Trip! To celebrate these opportunities—and to fact check my bold statement—I’ll be hitting the road and creating a series of stories to help us get to know these passionate winemakers and their wineries across this amazing land in 2019. Wine not just get to the point! Cost: Ummmm … I purchased 3 of these on Vivino.com for $36. Now I see them at $90-$130. If I was a collector I would buy low and sell high, instead, I’m buying low and drinking high. Taste: I said a lot of emphatic bad words when I tasted my first sip… and my second … and third. It’s good … really, really good. The flavors are intense and they keep coming at you. At $36 it is a steal. At $90 an indulgence. I’m really happy that I have two more bottles in my cellar. Can’t wait to share some with my oldest in 5 years. Other Stuff: We love history around here and Vine Cliff has a ton of it. This “Ghost” winery was founded in 1870 making one of the oldest wineries in Napa. Unfortunately, phylloxera ravaged the vines in 1900 and then there was this little thing called Prohibition. In 1985 the winery came back to life with the planting of Cab Sav vines and as you can see above, the wine they are making tastes pretty #$@! good. If you are into American wine, then this is a good book to add to your reading ist. You won’t find any tasting tips or wine-making techniques. This book tells the stores of many of the people and places responsible for making today’s American wine industry a reality. It was not a book that I couldn’t put down, but I did find it to be one that I keep picking up again and again when I want to revisit a topic or time period … To be fair, the first time through, it was read after The Wine Bible, Godforsaken Grapes, Cork Dork , Napa, Etc… I think I was need of a change up when I first picked it up. Bottom line is that It’s well researched and well written … It’s worth a read for sure. As I always say, head to the library or local bookstore, but if you’re like me and your eyes need help get it for the Kindle, ipad, etc… click here to get it on Amazon. Check out these links to learn more about Prohibition and the challenges we are still feeling 1oo years later. New York City Deputy Police Commissioner John A. Leach, right, watching agents pour liquor into sewer following a raid during the height of prohibition. New York, 1921. [?] Photograph. https://www.loc.gov/item/99405169/.